Get ready to sit down. 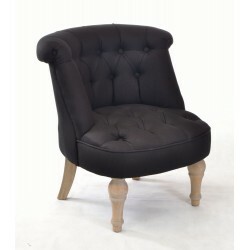 Our black occasional chair is great to add a small bedroom chair for you to get ready for bed or to go out. Alternatively why not use it as an accent chair in a lounge or conservatory. Where would you put it?